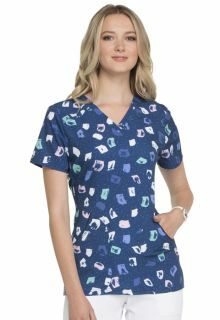 Modern Classic fit V-neck top features two front pockets, front shoulder yokes, front and back princess seams, and side vents. And Side Vents. Center Back Length: 26"